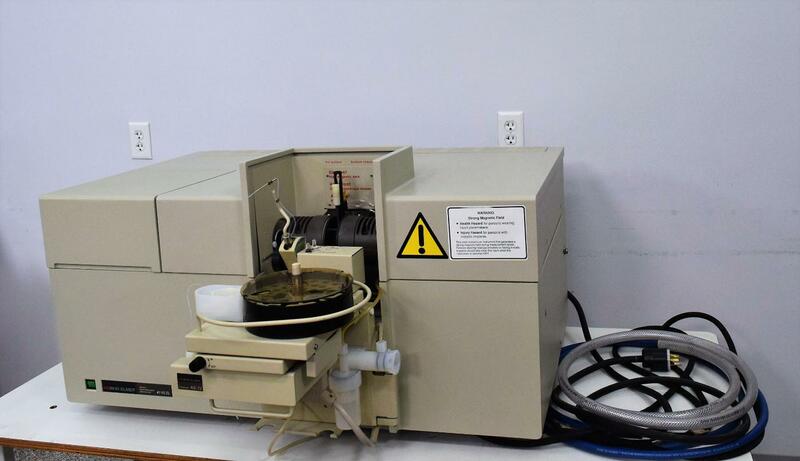 Perkin Elmer 4110 ZL Zeeman Atomic Absorption Spectrometer & AS72 Autosampler . New Life Scientific, Inc.
Perkin Elmer 4110 ZL Zeeman Atomic Absorption Spectrometer w/ AS72 Autosampler. Powers on and Initializes. Being sold as a parts unit. This unit will power on, but upon doing so the technician got a burning smell. No software is included with this unit. When powered on the fans work, green power light comes on and the arm in the front moves. Included with this is the AS72 Autosampler. Overall this equipment is in good cosmetic condition. This would make a good parts unit or if a person was knowledgeable of this unit it could be repaired. Some hosing is included as shown in the photos.